Pulmonary arterial hypertension is a rare, progressive disease with poor prognosis. However, there is limited information available on the characteristics of PAH patients outside of North America and Europe. This is particularly important as researchers have described that there are potential geographical and regional differences which are vital to consider in the design of clinical trials as well as PAH treatment. The aim of this study was to describe the epidemiology of PAH (PH group 1) in Latin America. A search of electronic databases for studies published in English, Spanish or Portuguese was conducted specifying publication dates from the 1st of January 1987 until 10th October 2016. Two authors independently assessed papers for inclusion and extracted data. A narrative synthesis of the findings was conducted. The search revealed 22 conference abstracts and articles, and on application of the inclusion criteria, six conference abstracts and articles were included in the final review. Studies/registries were based in Argentina, Brazil and Chile. In contrast to the available literature from developed countries, in Latin America, most patients were diagnosed at younger age; nevertheless, the higher prevalence of idiopathic PAH (IPAH) and the advanced stage of the disease at diagnosis were comparable to the existing literature, as the long term survival, despite the lower availability of targeted therapies. This study highlights the regional characteristics in the epidemiology of group 1 PH. The recognition of these differences should be considered when developing clinical guidelines and extrapolating diagnostic and treatment algorithms. Equitable access to health care and therapies are also issues that need to be addressed in Latin America. Information coming from a large prospective registry representing the different populations in Latin America is of critical importance to increase disease awareness in the region and improve diagnosis and management. Pulmonary arterial hypertension (PAH), a clinical classification of group 1 pulmonary hypertension (PH), is a rare, progressive disease with poor prognosis. It has a worldwide estimated prevalence ranging from 10 to 16 cases per million inhabitants per year and an incidence between 2.0 to 3.2 cases per million inhabitants [1, 2]. In the last two decades, knowledge of the basic pathobiology of PAH, its natural history, prognostic indicators, and therapeutic options have improved. National registries have provided a better understanding of the epidemiology and clinical evolution of the disease  as well as valuable information on disease characteristics, demographics and outcomes of patients with PAH , allowing the development of risk stratification tools . Two recent reviews [2, 6] have identified 11 PAH registries based in the United States (US), China, France, Scotland, United Kingdom (UK), Spain and a European Union consortium. However, limited information is available on the characteristics of PAH patients outside of North America and Europe. Moreover, no Latin American studies were included in these reviews. This is particularly important as researchers have described that there are potential geographical and regional differences which are vital to consider in the design of clinical trials as well as PAH treatment [2, 6, 7]. The aim of this study was to describe the epidemiology of PAH (group 1) in Latin America. To identify relevant studies, a search was conducted using Medline, PubMed, LILACS, EMBASE, SciElo, PAHO, BVS, Cochrane, Latindex, CAPES and Searchlight (a GlaxoSmithKline database that includes conference abstracts) specifying publication dates from the 1st of January 1987 until 10th October 2016. The search terms included “pulmonary arterial hypertension”, combined with “registry”, “cohort study” and “observational study”. A web-based search, using the Internet search engine ‘Google Scholar’, was also conducted. Studies were included if they were based in Latin America (Central and South America) and the Caribbean , examined PAH (PH group 1) adult patients aged between 18 and 65 years old and were available in English, Spanish and/or Portuguese. Studies were required to report on at least one of the following topics: clinical characteristics (etiology, time from onset of symptoms to diagnosis, hemodynamic parameters and severity of the disease based on the World Health Organization – WHO – classification); demographic characteristics (age and gender); treatment pattern or survival rates in a cohort of PAH patients. Publications were excluded if they focused on a subgroup of PAH patients and not a cohort of all PAH or all IPAH patients, for example articles that investigated PAH only in pregnant women or pediatric patients, and/or PAH patients treated with a particular treatment. Additionally, studies that focused on patients with a specific etiology associated with group 1 PH such as schistosomiasis, HIV, lupus or coronary heart disease were also excluded. Due to the paucity of data, the decision was made to include conference abstracts if they have any publication describing the study design to assure the correct understanding of the data collection, patient inclusion, study results and methodology. The following items were extracted from each article: inclusion and exclusion criteria; sample size; country where the study was conducted; study design; study population, period of enrollment and follow up; incidence and prevalence; diagnosis criteria; PAH patient’s demographic characteristics (age and gender); co-morbidities; time from onset of symptoms until the diagnosis; PAH etiologies; PAH survival and PAH treatment. Two reviewers independently extracted data using a standardized data extraction form. 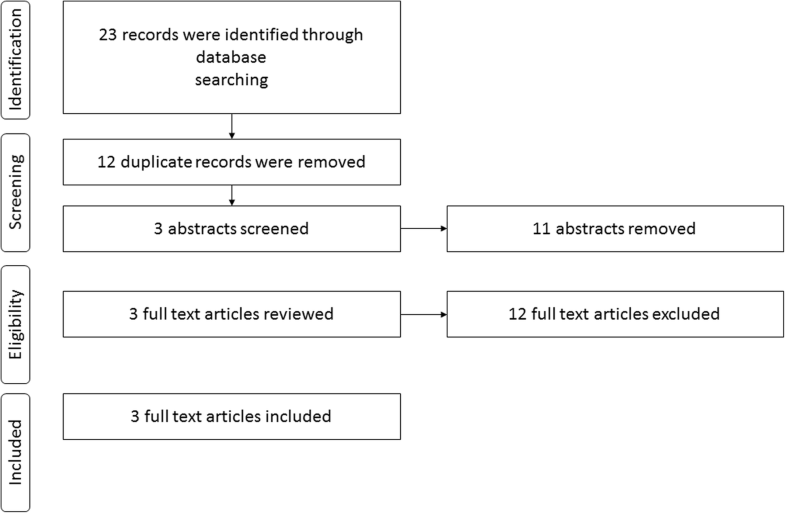 A total of 22 publications including articles and conference abstracts were retrieved by the literature search. Fourteen conference abstracts were screened. From these, twelve were excluded. The Mexican registry , two abstracts that reported data from the Colombian registry [10, 11] and a study from Puerto Rico  were excluded as they did not report data separately for group 1 PH patients. The Paraguayan registry  was excluded as data was reported according to the treatment received by each patient’s group (for example, group A: patients only treated with Sildenafil). Five conference abstracts were excluded as they reported on the same results from the HIpertensióN PULmonar y ASociaciones en la ARgentina (HINPULSAR) registry [14–18]. Also, one publication from the Registro Colaborativo de Hipertensión Pulmonar en Argentina (RECOPILAR) registry  was excluded because it reported duplicate data. Additionally, one registry from Uruguay  was excluded as they did not provide another publication detailing the study design. Two conference abstracts, one from the HINPULSAR registry  and one from RECOPILAR registry , both based in Argentina were included in the final analysis. The data from the abstracts was complemented with methodological information from the study protocols [23, 24]. Eight full text articles were found of which four were excluded from the analysis. One study conducted in Brazil  was excluded because unlike the other studies, PH diagnosis was made based only on echocardiography results and did not consider hemodynamic parameters. The other study from Chile  was excluded as the study included group 1 and 4 PH patients but did not report data separately for group 1 PH. The other two excluded publications were conducted in Argentina and described only the study protocol and methodology of the HINPULSAR  and the RECOPILAR registries  but did not report results. Four articles were included in the final analysis: two Chilean [27, 28] one Argentinean  and one Brazilian . The characteristics of the PAH registries are provided in Table 1. In total, six publications (two conference abstracts and four full articles) were qualified for inclusion according to the eligibility criteria (see Fig. 1). The publications excluded are described in Additional file 1. All studies were conducted in South America, mainly in Argentina, Brazil and Chile. The number of patients with group 1 PH varied from 17 in Chile  to 178 in Brazil . The number of centres involved in the registries/studies varied from 1 to 31 . The studies found did not report on or calculate the incidence and prevalence of PAH in Latin America (see Table 1). The mean age of PAH patients in Latin America varied from 34  to 51 years . All the studies included just adult patients, except the Argentinean by Talavera et al.,  that included 16 patients (12.8%) younger than 18 years. All studies reported greater frequency of PAH in female patients ranging from 60%  up to 86% , both values found in small cohorts in Chile. The most commonly reported subtype among PAH patients was IPAH. One of the Chilean studies  showed the highest percentage of IPAH patients (80%) and the Brazilian registry  had the lowest with 29%. However, the Brazilian registry  mentioned schistosomiasis as one of the most common subtypes of PAH (Sch-PAH in 20% of total patients). As can be seen in Fig. 2, the percentage of IPAH patients is higher in Latin America compared to European studies and the REVEAL registry from the United States (US). All the studies defined PAH as the presence of mean pulmonary arterial pressure (mPAP) greater than 25 mmHg at rest and a pulmonary artery wedge pressure (PCWP) less than 15 mmHg after right heart catheterization (RHC) . Only one of the Argentinean studies  and one of the Chilean studies  reported the time from onset of symptoms to diagnosis (1.4 and 2.9 years, respectively). The Brazilian registry  reported the lowest proportion of patients in the New York Heart Association (NYHA)/WHO functional class III or IV (46%). The Argentinean registries reported similar proportion of patients with functional class III or IV (ranging from 58 to 70%) [21, 22, 29]. One Chilean study  with 27 group 1 PH patients showed the highest proportion of patients with severe functional class (85%). Despite the differences, these values are considered high and demonstrate that most of the patients were in an advanced stage of the disease. Regarding the 6-min walk distance (6MWD), in general, the studies exhibited the same pattern for exercise capacity, ranging from 348 m in Chile  up to 383 m in Brazil . The hemodynamic parameters exhibited the same pattern in all studies. Mean right atrial pressure (RAP) ranged from 8 in the Chilean  and Argentinean  registries up to 12 ± 8 mmHg in the Chilean study . The mean pulmonary artery pressure (mPAP) ranged from 52 ± 18 mmHg in the Brazilian study  up to 59 ± 12 mmHg in Chile . Regarding the pulmonary vascular resistance (PVR), only the Brazilian  and the Argentinean  registries reported this parameter and it was similar (10 ± 6 and 12 woods units, respectively). The studies also exhibited the same pattern for cardiac index (CI) (See Table 1). Three studies reported the survival rates at 1, 2 and 3 years after diagnosis. The Brazilian registry  described survival only for incident patients and the Argentine study  showed survival for incident and prevalent patients. The Chilean study  did not specify if they included incident and/or prevalent patients. Comparing the Brazilian  and Argentinean  registries in the first year, the survival was similar (92.7 and 94% respectively), but in the second (79.6% vs 90%) and third year (73.9% vs 83%), the survival of the Argentinean cohort was higher. The Chilean study by Enríquez et al. with a small sample size (N = 17) showed at first year a 88% of survival and the same survival rate at years 2 and 3 (82%). Figure 3 shows the survival rates in these Latin American studies compared to other international registries. Most of the studies described the treatment received by patients [7, 16, 28, 29]. The Argentinean  and the Brazilian  studies reported that nearly 30% of patients were treated with Bosentan. It is important to note that the Brazilian registry only included incident patients  and hence only first-line treatment. On the other hand, the HINPULSAR and the Chilean registries reported that only 12% of the patients were treated with Bosentan. Sildenafil was considered as first line treatment in Argentina and Brazil . The highest percentage of Sildenafil use was in Argentina  (83%) and lowest in Chile  (24%). However, the Chilean registry  reported the highest percentage of patients receiving treatment with Ambrisentan (82%). Inhaled Iloprost use was mentioned in HINPULSAR  (11%), in the Argentinean registry  (32%) and also in Chile  (29%). This is despite the fact that in Chile the use of inhaled Iloprost was approved in 2005, when the study was finished and Ambrisentan was first approved in 2014, several years after the recruitment period of this study. To our knowledge, this is the first article to describe the epidemiology of PAH (group 1 PH) in Latin America. As previously described, there is limited data from Latin America making it difficult to understand the disease and patient’s characteristics in the region as a whole. While registries are an instrumental source of information regarding the epidemiology and outcomes, they can be influenced by external factors related to local circumstances such as access to health care, disease awareness and living conditions [5, 31]. While there was variation in the average age among the Latin American countries, most patients diagnosed were young and of working age. As previously mentioned, the Argentinean study by Talavera et al. had a lower mean age due to the fact that 16 patients aged under 18 years old were included in the registry. This is in contrast with results from developed countries where patients were older at diagnosis. The mean age of patients in the Giessen Pulmonary Hypertension Registry , the French registry , the US Registry to Evaluate Early and Long-Term PAH disease management (REVEAL)  and the Comparative, Prospective Registry of Newly Initiated Therapies for Pulmonary Hypertension (COMPERA)  was higher (≥ 50 years). Hoeper et al. , noticed that differences between countries may be explained by population age distribution (older population in Europe and US) and health care systems. However, other factors may play a role such as: referral patterns, PAH awareness, increase patient access to information and widespread use of noninvasive screening tools . As noted by McGoon et al. , phenotypes may be related to the healthcare environment rather than to different expressions of the disease. Similar to the results of international registries, the prevalence of PAH in female patients was higher [2, 6]. The studies reviewed described differences in the prevalence of IPAH. For example, in Brazil the percentage of IPAH was lower but this could be explained by a high percentage of other etiologies such as the Sch-PAH. According to WHO, schistosomiasis affects more than 200 million people worldwide . Estimates indicate that 8 to 12 million people are infected by schistosomiasis in Brazil , suggesting that schistosomiasis could be one of the main causes of PAH in the country. It is noteworthy that the proportion of PAH patients with congenital heart disease (CHD-PAH) reported in Argentina  (28%) was higher than what was described in Europe [32, 35] and North America  (below 15%). A recent review  emphasized the remarkable differences that might exist in specific areas of the world, as schistosomiasis in Brazil, or HIV in Africa, that should not be neglected when developing health policies for the appropriate diagnosis and management of PAH. Functional class is a powerful predictor of outcomes in patients with PAH . The majority of patients in the studies were in NYHA/WHO functional class III or IV. Patients in the Brazilian registry of incident cases  had lower proportion NYHA/WHO III/IV (46%), compared to most international (> 50%) [2, 6] and other Latin America studies [21, 22, 27]. It appears NYHA/WHO III/IV is higher in the US and Europe [2, 6] compared to Latin America (See Table 1). This is still the case when studies consider only incident or both prevalent and incident cases. However, even lower than in US and Europe, the percentage of patients in advanced functional class is still very high in Latin America, evidencing that patients are still diagnosed at late stages suggesting a lack of disease awareness and limited access to health care. Hemodynamic parameters such as RAP, mPAP and PVR were similar to those reported in other international registries [2, 6]. The mean 6MWD in the Latin American studies (See Table 1) was higher compared to US and European registries [2, 6]. However, it is important to consider that the mean age of patients was lower in Latin America, which could contribute to a better 6MWD. Compared to older patients, younger patients (< 50 years) have a shorter duration of symptoms, fewer comorbidities associated, better exercise capacity, and despite more severe hemodynamic impairment, better survival . As previously noted, the percentage of patients in advanced functional class III/IV in Latin America was lower than in other regions, which may also contribute to a better exercise capacity. Alves et al. , have hypothesized that intrinsic characteristic of the patients or perhaps environmental factors associated with the socioeconomic conditions may also influence the level of daily activity of these patients. For example, patients may need to walk and/or travel more to reach the treating hospital. Three studies reported survival rates. The Argentine registry had the highest 3-year survival rate . The Brazilian study with only incident patients showed a high survival rate in the first year but in the second and third years the survival rate decreased . As noted by McGoon et al. and demonstrated by different studies, as the French and the Giessen registries [30, 31], compared to incident cases, prevalent ones had a better prognosis which could explain the differences between these studies. In general, Latin American patients had similar survival rates as patients in developed countries. The French  and REVEAL  studies exhibited a survival rate lower than the Argentinean  and Brazilian studies , despite the lower availability of targeted therapies in Latin America. A recent analysis of the COMPERA registry divided the PAH group into typical and atypical PAH, according to the presence of 3 or more risk factor for the existence of left heart disease, characterizing the atypical subgroup . Patients with typical PAH were younger, without any remarkable difference in the hemodynamics profile. Although with similar overall survival, the response to treatment was higher in the subgroup with typical PAH. The study suggests that the presence of comorbidities might significantly influence the spectrum of PAH disease by adding different pathophysiological mechanisms to the more isolated vascular disease seen in the typical PAH. The lower mean age evidenced in Latin American patients suggests a lower prevalence of comorbidities which could contribute to a better survival rate in the region. Nevertheless, the lack of appropriate description of the comorbidities in the selected studies prevented a proper evaluation of the role of typical and atypical PAH prevalences in the overall survival. Despite the fact that data on PAH treatment in Latin America is limited, oral drugs appear to be the main form of first line therapy with Sildenafil being the most commonly used drug for PAH treatment within the region. The lack of data on combination therapy may be due to the fact that it is not approved in most Latin American countries. It is also important to point out that some treatments that were reported in the studies have not been approved for PAH use in the countries where data was collected. This highlights the fact that entering a clinical trial may be one way of providing PAH patients an opportunity to receive specific treatment . Timely and improved access to medicines may still be limited in the region. Efforts should be made to improve early diagnosis and the availability of new treatments which in turn may increase survival rates of PAH patients in Latin America. Our study has limitations that need to be acknowledged. There is a clear paucity of available data regarding PAH in the region. Most of the PAH data in Latin America is available only in conference abstracts, making it difficult to evaluate the profile of PAH patients among the region. Research from non-English speaking countries is underrepresented in high-impact medical journals and indexation problems for journals in Spanish and Portuguese hinder the screening of studies. While national registries are currently being implemented in different Latin American countries, accurate epidemiologic information on PAH is still limited. However, a new international multicenter registry “Registro Latinoamericano de Hipertensión Pulmonar (RELAHP)” was launched in 2014. This registry has been designed to collect medical history, diagnostic methods and treatment of patients suffering from pulmonary hypertension (PH) under optimal medical care in an effort to better fill the existing gap on the knowledge about the broader distribution of PAH in the region. Although there are some local registries in progress, more efforts and investments are still needed to ensure the dissemination of PAH data in Latin America. This study highlights the regional differences in the epidemiology of PAH. In contrast to Europe and North America, there is a clear heterogeneity in the distribution of the PAH forms in Latin America and the profile of patients described in the regional registries seems to be different from international ones. The recognition of these differences should be considered when developing clinical guidelines and extrapolating diagnostic and treatment algorithms. Specific health policies should address these differences while taking into account the limited health care access in some regions within Latin America. Equitable access to health care and therapies are issues that need to be addressed in Latin America. Information coming from a large prospective registry representing the different populations in Latin America is of critical importance to increase disease awareness in the region and improve diagnosis and management. This study (GSK study number LS2579) was funded and supported by GlaxoSmithKline (GSK). Dr. Rogerio Souza received no funding from GSK to work on this study. RANDOM Foundation (Colombia) provided medical writing services funded by GSK. All data used for the analysis is available in published manuscripts and abstract presentation. JMS and BG collected and analysed the data. CS and KV analysed the data and assisted on the writing process. ABV and RS designed the study, analysed the data and assisted on the writing process. All authors had full access to the data, participated on the study reviews and gave final approval to submit for publication. ABV, CS, JMS, KV and BG are employees of GSK. ABV and CS hold GSK shares. RS received no funding from GSK to perform this work; however, he received lecture and consultancy fees from GSK, Actelion, Bayer and Pfizer. Alves JL Jr, Gavilanes F, Jardim C, Fernandes CJCDS, Morinaga LTK, Dias B, et al. Pulmonary arterial hypertension in the southern hemisphere: results from a registry of incident brazilian cases. Chest. 2015;147(2):495–501. https://doi.org/10.1378/chest.14-1036.